Durable leather palm. Excellent dexterity. 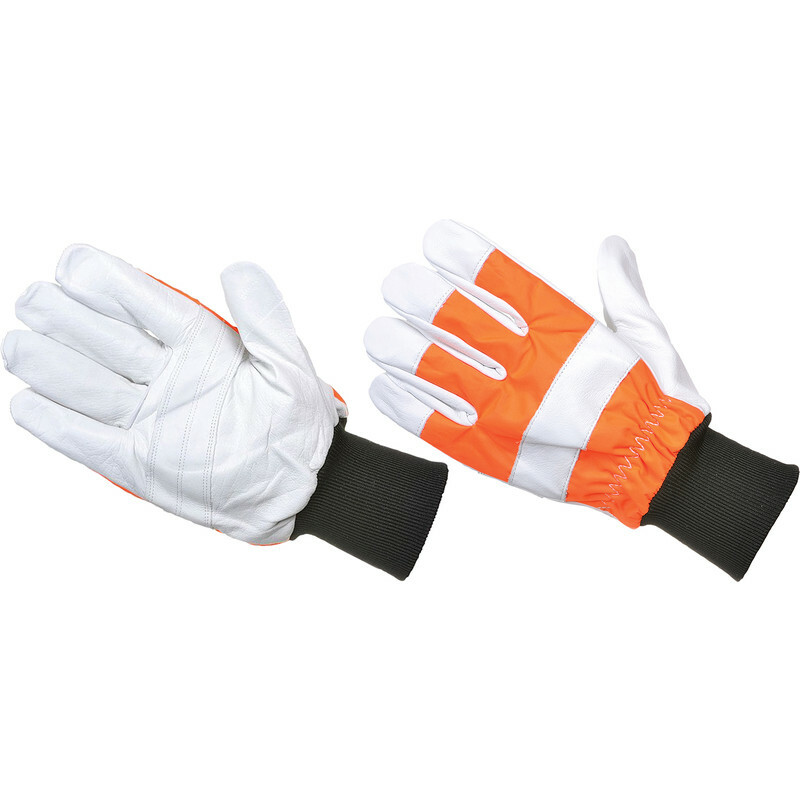 Protective material in the left glove only to EN381-7, Class 0, 16m/s. Conforms to EN420 and EN388. 60% full-grain leather, 25% polyester, 10% polyethylene, 5% elastic. Chainsaw Gloves Large is rated 4.9 out of 5 by 8.